Solinas’s appointment just two weeks before the 2018/19 season started came as a surprise to many, with an array of other names having been linked to the vacancy at Naturena. French coach Patrice Carteron is thought to have been one of the club’s top candidates, before Egyptian giants Al Ahly swooped in at the 11th hour with a more enticing offer. 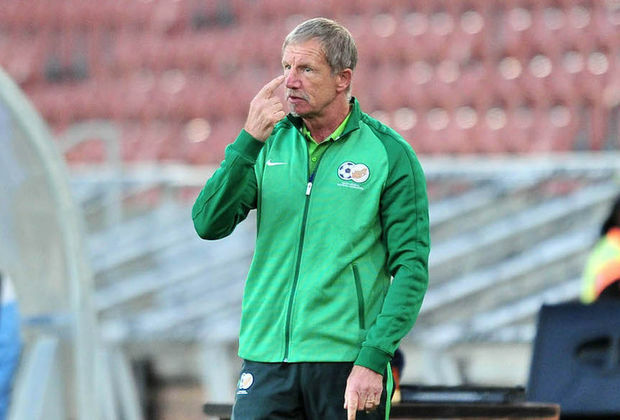 Another candidate was also current Bafana Bafana mentor Stuart Baxter, but the South African Football Association were reportedly reluctant to relieve the Brit from national duty. Motaung has since admitted that a number of targets were snapped up elsewhere by unnamed clubs with whom The Glamour Boys could not compete, and thus opted for the former Free State Stars tactician. “No, he wasn’t top of the list, I must confess. But we’ve lost one or two very good ones for obvious reasons at the time, because it’s not so easy for any team to get top coaches in the continent,” said Motaung. Meanwhile, ‘Chincha Guluva’ also confirmed subsidiary talks over the possible return of Baxter, but his existing agreement was the main stumbling block. “No, the talks must have taken place here and there but there wasn’t really any agreement that we could come to because he’s contracted to SAFA,” he concluded.